This column is a very versatile piece as it can either be displayed as one column or also can be split into two smaller columns. 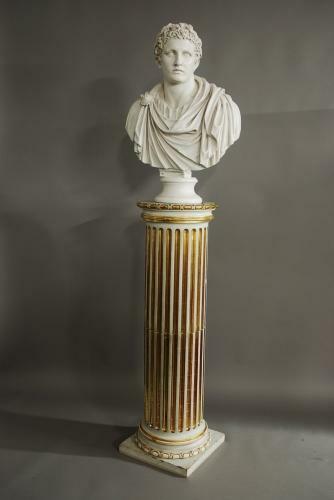 The column has a Classical design with fluted decoration and is finished in an off-white paint with parcel gilt decoration. The column is ideal for displaying items such as bronzes, sculptures etc. This column is in very good, original condition for age, is of stable construction and can go straight into a home. Please note: the marble sculpture in the photographs is not included in the price, however this can be purchased separately.